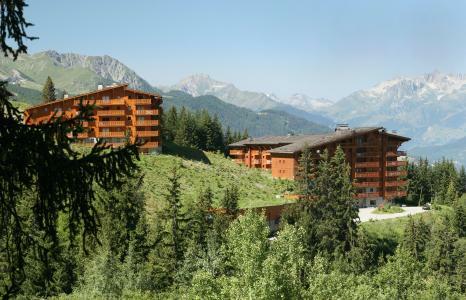 For successful summer holidays in the mountains, book your accommodation to Les Arcs in Northern Alps massive, Savoie. This mountain resort will offer you exceptionnal areas and surprising landscapes. 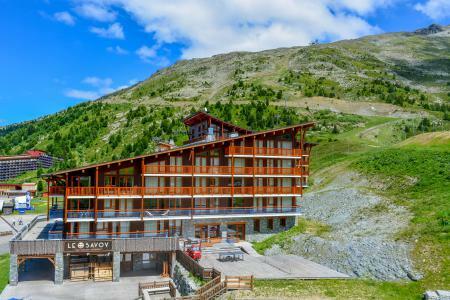 Your summer accommodation to Les Arcs will be for you a moment of wellness in the heart of a beautiful nature and you will spend holidays in wide open spaces. Our moutain offers will make you live warm emotions with all your family. We propose you quality holidays accommodation in all French massives, in the heart of mountains. We have many residences to rent for your summer to Les Arcs. Let yourself be carried by a feeling of happiness, enjoy the summer holidays in the mountains full of sun and discoveries ! The Residence La Source des Arcs***** is situated in the center of the resort of Arcs 2000. Its 43 apartments are welcoming, modern and comfortable. You will appreciate of the access to the heated swimming pool, the sauna, and the hammam, as well as the fitness room. Shops and amenities of the resort are just near the residence. You will benefit of the wonderful view over the surrounding mountains. The residence Cime des Arcs 4* is composed of 57 apartments with balconies. It is situated nearby the departure of hiking trails, in the heart of Arcs 2000 village. You will profit from an incredible view on the surrounding mountains. Take advantage of the wellness area with swimmin pool, sauna, hammam, fitness room. 2=1 SPECIAL SUMMER OFFER, ONLY ON 2 ROOM 4 PEOPLE, 2 ROOM CABINE 6 PEOPLE, 3 ROOM 6 PEOPLE, 4 ROOM DUPLEX 6-8 PEOPLE AND 4 ROOM CABINE 10 PEOPLE - valid until 31/05. The residence Le Chalet des Neiges Arolles**** is situated close to the hiking trails of the village Arcs 2000. It is divided in several chalets, all of Savoyard style, with a wonderful view on the Mont Blanc, or on the landscape of Les Arcs. You will find all the necessary comfort in the apartments : beds made upon arrival, towels... You can take advantage of the wellness center with swimming pool, sauna, hammam, and fitness room. 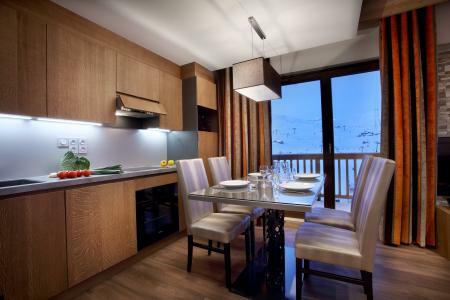 A public lift is at your disposal to access to the center of the village of Les Arcs 2000. A brand new addition for this season, Pierre & Vacances offers you a wonderful experience in Arc 1950 through our 8 top-of-the-range residences. A car free village, free from turmoil and nuisance, our residences are built of stone, timber and stone roofing slabs, inspiring desires and well-being while offering comfortable, spacious accommodation. Services include free internet connections, individual ski lockers, outdoor pool, jacuzzi, hammam, fitness room and much, much more. The residence St Bernard is situated in Arc 1800, in the village of Chantel, at the upper part of the resort, next to the resort center, and shops (free shuttles). This residence is composed of 60 apartements offer you a view on the mountains. The residence Le Chantel is a residence of standing, with a coconning indoor. It is located 5 mn from the shops by free shuttles. You will have a panoramic view on the resort and the valley. 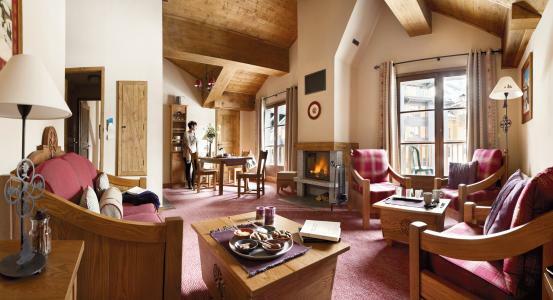 The residence Lauzières is located in Les Arcs 1800, in the district of Charvet. This residence with lifts, is situated 50 m from the first shops and 100 m from the resort center. You will access easily to hiking trail. Facing Mont Blanc, in the village of Charmettoger, "Le Belmont" residence has been refurbished to a high standard, and offers an exceptional panoramic view and snow as far as the eye can see. It has an excellent position on the edge of the forest, 500 m from the centre of the resort, and 300 m from the Villards shopping centre. The residence Les Arandelières is located in Arc 1800, in the district of Les Villards. This residence with lift, is idealy situated 150 m from the resort center where you will found all the shops, restaurants and activities of the resort.